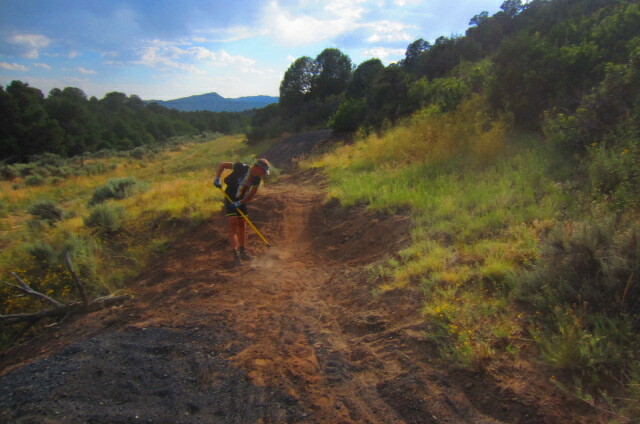 Sugar Trail is a new multi-use, two-way cross country trail in Horse Gulch coming off of the top of Raider Ridge about 800 feet southwest from the top of Skyline Trail that Trails 2000 just finished building. When I say that the trail is finished, keep in mind that this trail is still soft and needs to be packed down by a cycle of rain and people using it. 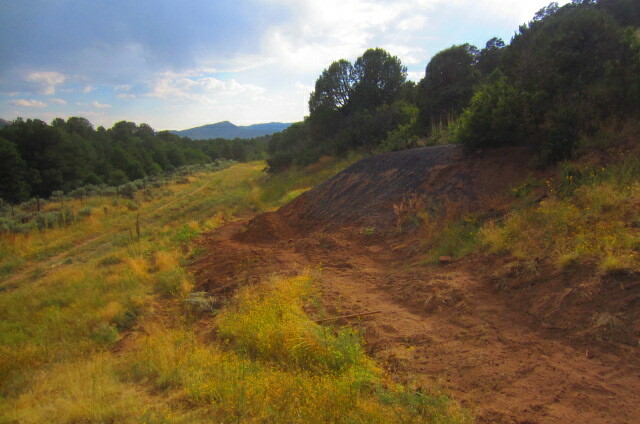 Sugar Trail is an intermediate trail with lots of switchbacks and berms at every corner. 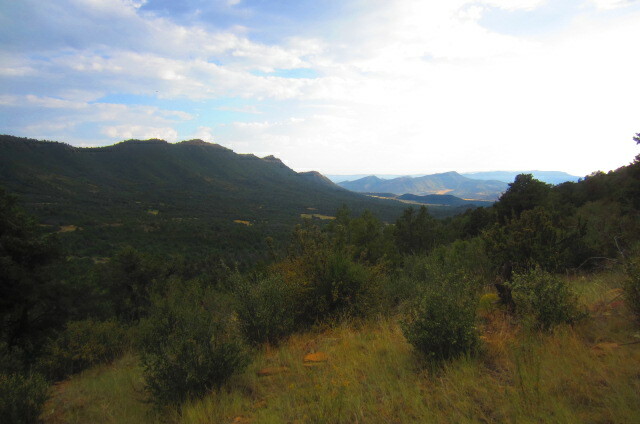 It was built on the City of Durango’s land that they recently purchased from Jake Dalla without the help of a grant from Great Outdoors Colorado. 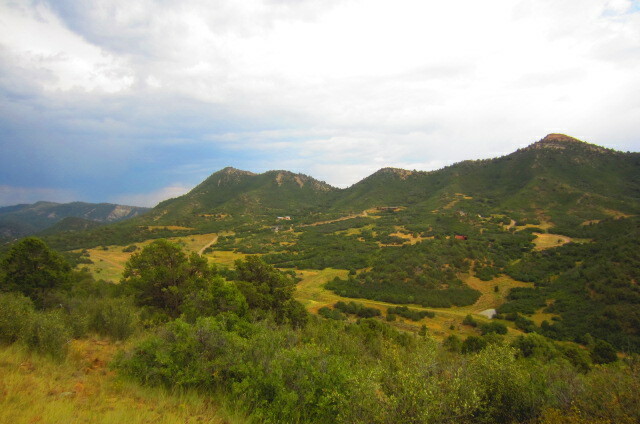 The City’s land where Sugar Trail was built is not under conservation easement with La Plata Open Space Conservancy, which made it much easier for Trails 2000 to gain approval to build it there. 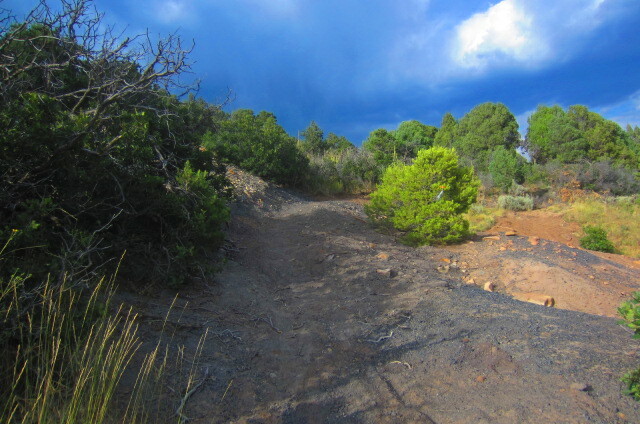 The turnoff to Sugar Trail at the top of Raider Ridge is somewhat abrupt, due to the topography where it intersects with Extended Raider Ridge Trail and the fact that the BLM has temporarily blocked Trails 2000 from using the upper part of the ridge to feather Sugar Trail at an angle towards the top of Skyline Trail. Sugar Trail is currently only marked by a cairn of sandstone rocks at the top on a technical rocky sandstone slope. Sugar Trail is around 8,000 feet long with an average grade of 8%, according to Trails 2000’s Executive Director, Mary Monroe Brown. Most of the trail was constructed over the course of a two-week period with an excavator operated by Daryl Crites, said Crites. The remainder of the finish work was done by a crew of Trails 2000 volunteers and numerous professional cyclists last Friday afternoon. 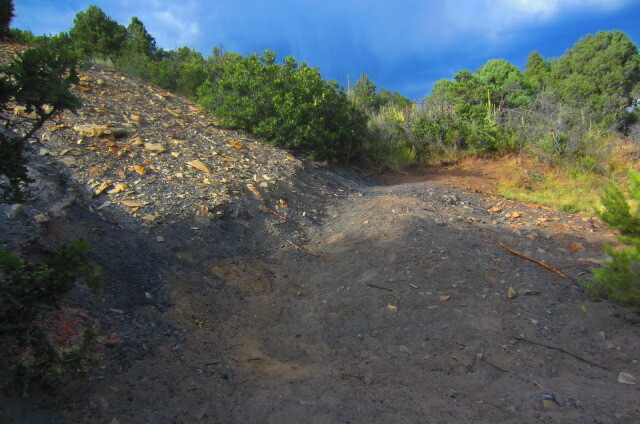 In the last 100 feet at the bottom of the trail before it merges with Horse Gulch Road, it crosses over a coal mine tailings pile where the dirt has a powdery silt consistency. Volunteers put coal fragments on top of the powder in an effort to stabilize the silty soil. Time will tell whether this section holds up to the elements of weather. 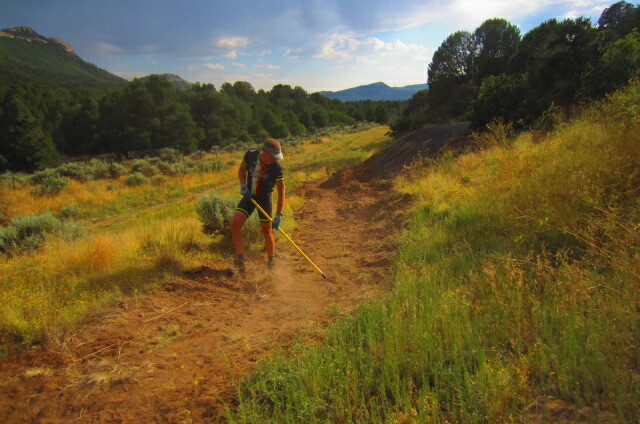 Two volunteers were heard telling Trails 2000’s Executive Director Mary Monroe Brown to smooth out the section of Raider Ridge Trail between the top of Skyline and the top of Sugar Trail to make it easier for beginners to ride. This blogger quickly asked Monroe Brown to ensure that Trails 2000 would not “de tech” Raider Ridge, as one volunteer put it in his request. 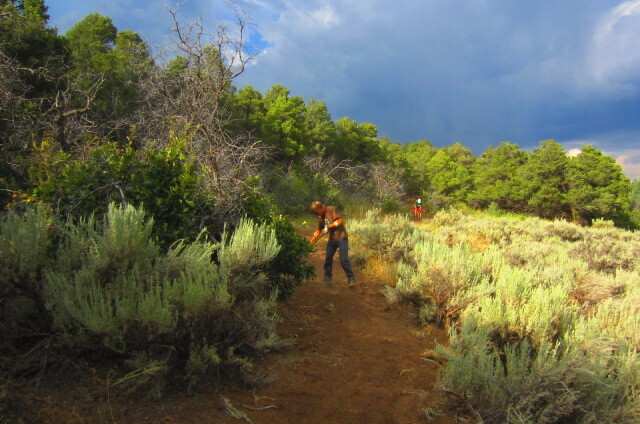 Monroe Brown said that the goal was to make Sugar Trail an option line below Raider Ridge Trail traversing across BLM land from near the top of Skyline Trail, and eventually connecting with the existing Sugar Trail on the south side of the ridge.